New home communities around the country are moving away from traditional golf-centered plans and instead building more health-focused amenities. Orchard Ridge took this trend a major step further by bringing Liberty Hill a place centered around family, healthy living and a small-town sense of community. When designing Orchard Ridge, Freehold Communities asked homebuyers what they really wanted. “They wanted a lifestyle of total wellness integrated into their living environment and community,” said Andy Smith, the regional development manager for Freehold Communities. “They value nature trails, fitness facilities, green spaces, inviting gathering spaces for social interaction and amenities for the whole family to enjoy together more than golf courses.” Instead of solitary days on the course, Orchard Ridge residents can enjoy amenities like the Community Gardens, resort-style pool and miles of trails with the whole family. 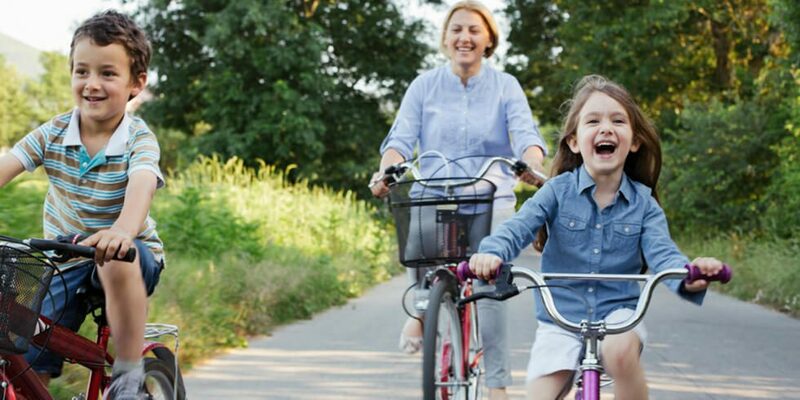 Busy schedules can often interfere with finding time to enjoy time outdoors or regular workouts, but Orchard Ridge makes it easy to achieve the healthy, active lifestyle they’re really searching for. The state-of-the-art Fitness Center eliminates the hassle of driving to the gym, and the miles of trails hold the promise of a new adventure around every turn. Multiple parks, orchards and the Community Gardens provide ample opportunity to get your daily dose of fresh air. A strong sense of community is at the heart of the Orchard Ridge lifestyle. People want to unplug more and more and build real, meaningful relationships with their family and neighbors, and year-round community programming, coordinated by the full-time Lifestyle Director, is one of the ways Orchard Ridge encourages residents to come together. Regular activities, like running groups and morning coffee socials, as well as seasonal events and classes, create a fun and exciting environment for residents to get to know each other and build memories that will last a lifetime. Orchard Ridge was not only built to bring neighbors together, but families as well. The resort-style pool includes a splash pad and luxurious lounge areas, so whether your family includes toddlers or teenagers, everyone can get some sunshine and exercise together. Picnic areas and orchards are ideal for a lazy afternoon, and the playfield is perfect for activities and spontaneous play. Our model homes are open daily for tours, and stay tuned for details about our Amenity Center Grand Opening, where you can experience the Orchard Ridge difference for yourself. Make sure to join our Founders Club so you’ll never miss any Orchard Ridge news!